Our second instalment for our Multilingualism in my family series this week is from Jen in Japan. Many thanks Jen for taking the time to answer my questions. I have two children; my son is 5 and my daughter is 3. I speak English to the children and my husband, my husband tries to speak as much English to us as possible (so maybe 60:40 English to Japanese) and my kids speak Japanese to their dad and a mix of Japanese and English to me. 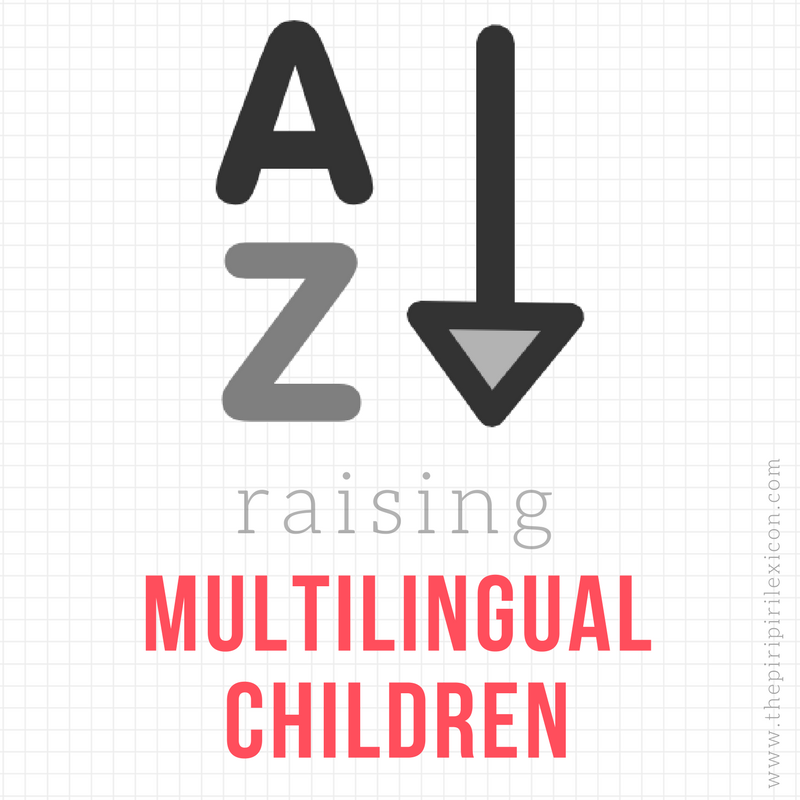 We try to do MLAH (minority language at home) because I think it is important for my kids to see that it is not just a language for “over there” but for us as well. My husband’s English is not strong though, so it is more OPOL (one parent one language) than we’d like. The big thing for us is transitions. We try to wake the kids up in English and when they get home from school we try to sing some songs and ask English questions for them to transition from Japanese to English. TV. I thought that having English tv would be very helpful, but it hasn’t really been. We’ve recently instituted a no-tv on weekdays rule which means we have more talking /reading time. Also, tv is a very social thing in Japan, so kids talk all the time about the Sunday morning Kamen Rider show and they go together to play Kamen Rider video games. My son was really disappointed last Halloween when he dressed up as a tv character he loves but no one else understood. So we’ve cut down, and when we do watch we try to do things that are also available in Japan, like Disney and Miyazaki movies. I would have started reading to my son from the day he was born, rather than waiting until he was 9 months or so and started showing an interest. It’s such a great bonding time for us. Also, I wish that my husband and I had spoken English together before the kids were born, it was very hard to change to the opposite after the kids were born. What has helped me a lot has been the blogging community - both the bilingual and English kids books communities. Definitely having a community that supports my bilingual efforts and shares my struggle has been empowering. It’s also nice to know what monolingual English kids struggle with and how reading advocates deal with that. Thanks so much for interviewing me, I love this series! While I'm not faced with this issue at all I find it very intriguing to read about. I love that reading is such a powerful tool. I'm a bookworm and am passing that on to my son by reading to him after every nap (which means twice a day at least, sometimes more if he grabs a book and brings it over). It's great to hear how it can help a child understand their language. Also there is little in the entertainment world I hold in higher esteem than Studio Ghibli films :D they would be a perfect choice for mixing English and Japanese.